Breathe new life into your fireplace with gorgeous stone veneers panels. With a little bit of imagination, you can make it the focal point of your room, or even your entire home. With the wide range of colours, shapes and textures available, there is no limit to the design possibilities. Being lightweight, easier to handle, and less expensive than natural stone, you might even be able to do the renovation or upgrade yourself. 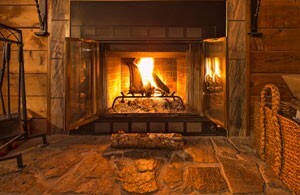 With use and age, your fireplace can easily show signs of wear. Even the simplest design of stone veneers can transform the look and feel of your space. A stylish fireplace adds aesthetic appeal to your home and can contribute to a higher resale value. If you have updated a room many times but neglected the fireplace, your décor may lack the desired impact. Chic stone veneer panels will change the character and focus of your room enabling you to bring in the wow factor you want. 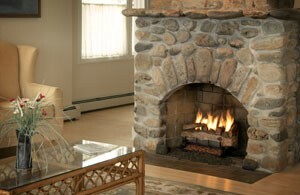 Updating your fireplace with lightweight stone veneer is simple. Here is a step-by-step guide. First cover the fireplace surround with builder’s felt, working your way from the bottom up. Be sure to overlap pieces by 2 inches. Next, nail some metal lath over the felt with the cups facing upwards. Then cover the wall with around half an inch of veneer mortar and let it sit for about 20 minutes. Comb the mortar with a notched trowel and let it dry overnight. Draw out your design with staggering shapes and sizes. Remember to leave around half an inch of space between the stone veneers. Start installing pieces from the top down. Do the header first then work your way down the sides. Spray the back of each one with water, then apply mortar to it and make scratch lines with your trowel. Press the piece in place and wiggle to ensure it adheres to the scratch coat. When all the pieces are in place, clean the joints with a striking tool and whisk broom. Let it cure overnight. Grout the joints with veneer mortar squeezed through a bag (similar to a cake piping bag) and let it cure for about an hour. Finally, shape the joints and brush over them for a natural look. You can find a wide selection of colours, shapes and styles at Platinum Stone Veneer. Our experienced installers can easily recreate even the most complicated designs. Top quality workmanship guarantees stunning results. Should you decide to install the stone veneer panels yourself, we can give you important tips to ensure you do it the right way. To learn more about fireplace renovations and new installations,call Platinum Stone Veneer (416) 731-8600 or request an estimate online.